Tehjan is a Registered Nurse who is certified in psychiatric and mental health nursing. As the current CEO of Marnic Health Systems, a clinical consulting company based out of Louisiana, she acts as a consultant for hospital and healthcare systems throughout the country. 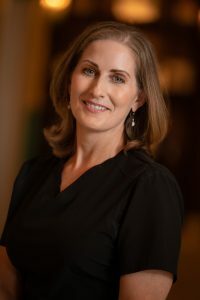 In addition to providing management and consulting for others, she has owned and operated inpatient and outpatient psychiatric facilities throughout Louisiana, Mississippi, and Florida. Over the last 4 years, Tehjan has sold all of these mental health facilities in order to focus on wellness, beauty, & healthy aging. Judy Spann is an Advanced Practice Registered Nurse and a Certified Registered Nurse Anesthetist. 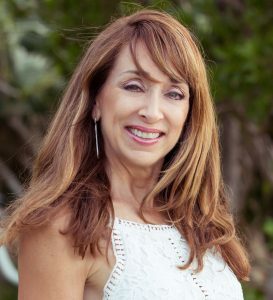 She has 14 years of experience in the cosmetic surgery industry working with plastic surgeons in SW Florida. Judy started her career in Illinois receiving a Bachelors of Science in Nursing from Illinois Wesleyan University. In 1982, she relocated to Ft Lauderdale, FL and set up & managed a 28 bed intermediate postoperative surgery unit for cardiovascular patients at Holy Cross Hospital. In 1999, she received a Masters of Science/Major in Anesthesiology from Barry University in Miami, FL. Cindy relocated to the Ft. Myers area from Montauk, NY. 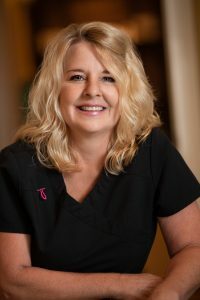 She has 18 years of nursing experience ranging from urgent care to cosmetic procedures. Cindy joined our practice in January 2018. She will walk you through your treatment process, from start to finish, and ensure it is a pleasurable experience. Kelly has 25 years experience as a nurse, 10 of which have been with our practice. 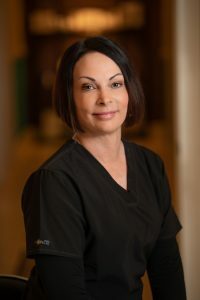 Kelly specializes in preparing patients for surgery, and in guiding them through minimally invasive treatments such as Intense Pulse Light (IPL).